Very large, long blooming yellow flowers, 4-5 flowers per stem, 60 days to force. New generation of pot lilies which are genetically short, can be grown all year round, and are available in a full range of colors. In particular, these varieties have been selected for their higher flower production, their reduced sensitivity to leaf scorching and bud abortion, and their shorter forcing periods. 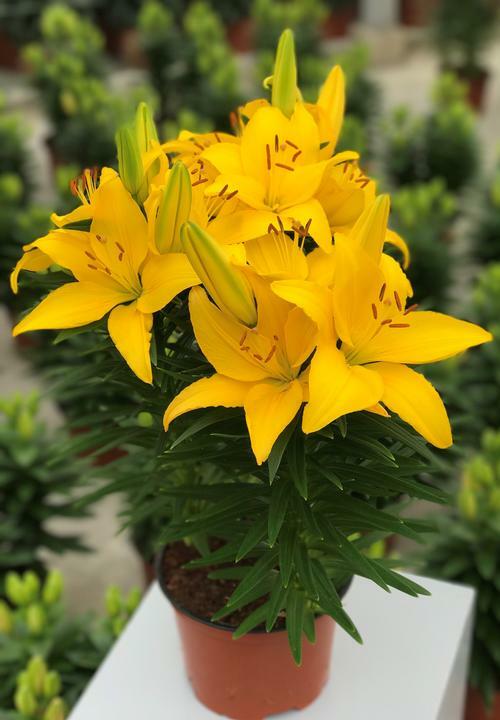 These characteristics make LiLy Looks the ideal pot lily , especially for scheduling multiple crops in spring and throughout the year. Call for more specific forcing information.